In December, 2017, Custom Flavors, a flavor developer and manufacturer in California, approached Starfish Signs & Graphics for help with their rebranding. This family-owned company has been operating since 2005, and wanted to update their name and corporate image. This was an exciting project for us to take on, but it wouldn’t have been successful without collaboration with some amazing partners. By the end of this project, and by working with other local businesses, our client walked away with a brand new logo, website, signage for events like trade shows and their brand reveal event, and building and office signage. The first step in this project was developing a new logo. When Custom Flavor’s first came to us with a request for a rebrand to coincide with their renaming, we instantly connected them with Lynne Door, graphic designer and owner of Lynne Door Design. Lynn has been an ongoing referral contact with Starfish Signs, and was able to connect the company with a content writer and web designer for their new website as well. 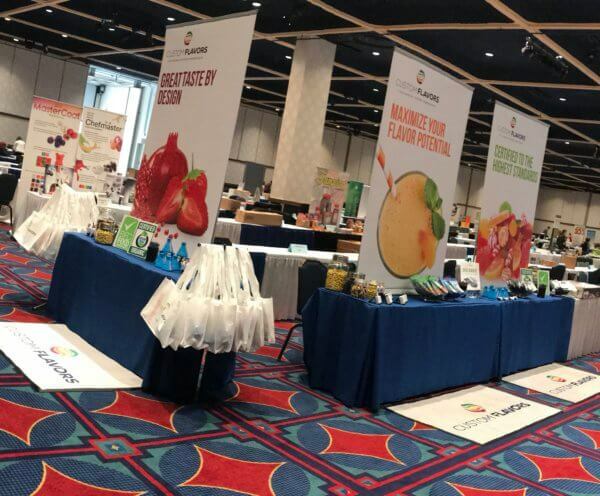 Once the new logo was created, we started to implement their brand into physical signage that they could use for their booth at trade shows and for their successful brand reveal event on March 7, 2018. To keep our client in the loop throughout this process, we used our online portal to share and receive feedback on our proofs from our client. Our system is user friendly and helps us with effective communication and transparency. The last step was fabricating and installing the new building sign. 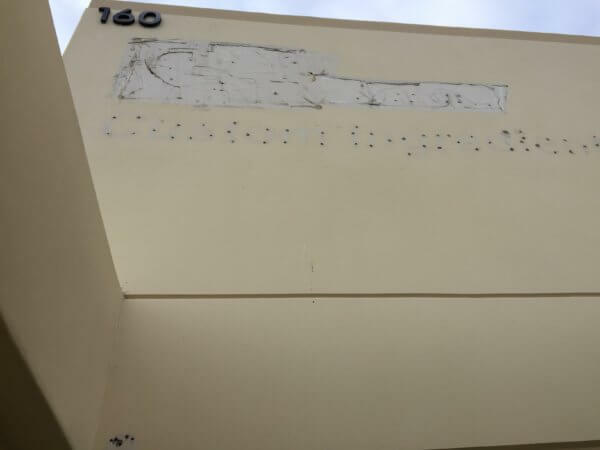 When we took the old sign down, the building itself was in need of a significant façade repair. We were only too pleased to connect Custom Flavors with Kenny Kim, owner of Spectrum Painting. For their building sign, we used custom routed dimensional lettering, which shows off a lot of the building surface. This approach provided a great representation of Custom Flavor’s new logo, with, resulting in a bold and unique design. 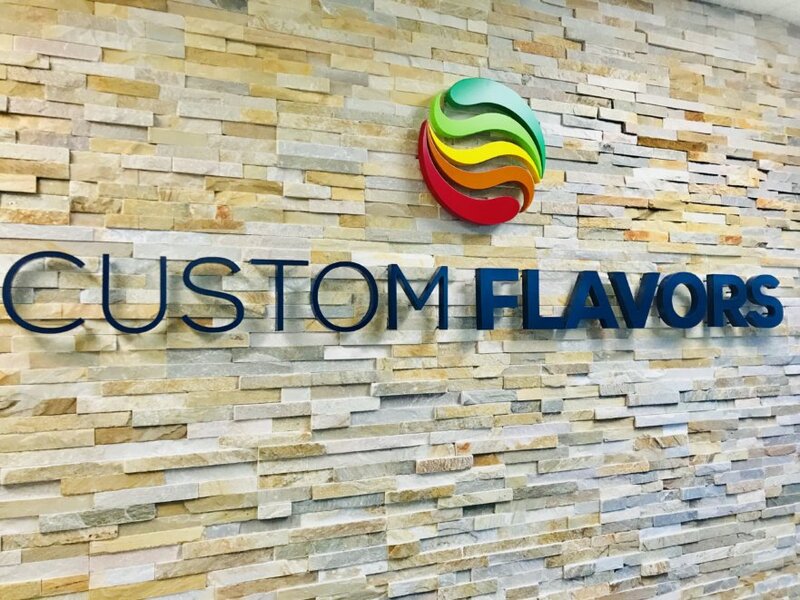 The channel lettering for the Custom Flavors sign is made out of 1” thick outdoor PVC, painted as per the specific colors of their logo. The three dimensional construction gives the signage depth and helps make the business name stand out. Additionally, we created new lobby signs for the interior of their office. Once again, we used our CNC router to create custom dimensional letters and logo elements. The sign was mounted using studs and spacers, no small accomplishment, considering the uneven texture of the natural stone lobby wall surface. However, the finished product looks great, and was well worth the effort. No matter your industry, a lobby sign is an important part of your business. A successful lobby sign makes a statement, as it represents your business’ personality, and creates a memorable experience the second your clients and visitors walk through the door. Also, your new lobby signage can also serve as a great backdrop for any meeting, conference, or picture. Here at Starfish, we extend our own capabilities through collaboration with other high quality businesses, with the aim of providing our clients with a complete solution. By working with Spectrum Painting and Lynne Door Design, we helped Custom Flavors rebrand their company across all touchpoints, and develop great new signage for their brand reveal event and office building. We are committed to keeping our clients happy, and we’re excited to keep working with partners like Spectrum Painting and Construction and Lynne Door Design in the future. Let us know how we can collaborate on your upcoming project. 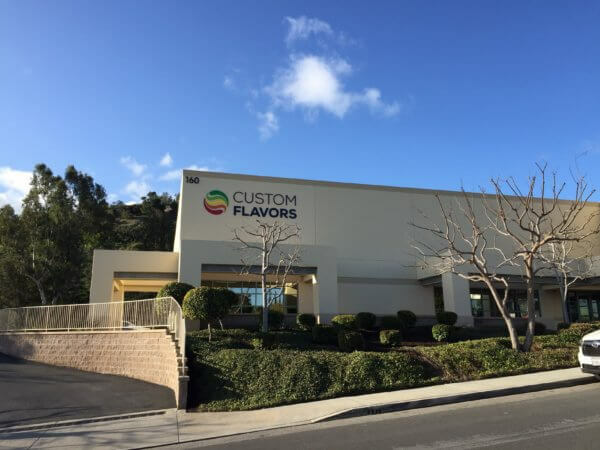 ABOUT CUSTOM FLAVORS: Custom Flavors is a family-owned and operated flavor developer and manufacturer located in the small surf town of San Clemente, CA. Our team boasts over 10 decades of combined flavor and food industry experience. We partner with individuals and businesses of all sizes to provide exceptional flavors. ABOUT LYNNE DOOR DESIGN: Lynne from Lynne Door Design is a graphic designer and branding consultant. She has worked in a vast array of industries for the past 13 years, and she has tackled many rebranding projects and new identities through innovative, thoughtful design solutions. ABOUT SPECTRUM PAINTING AND CONSTRUCTION: Spectrum Painting and Construction is a family-owned business proudly serving Orange County since 1987. Spectrum provides professional and experienced service for residential and commercial painting projects.